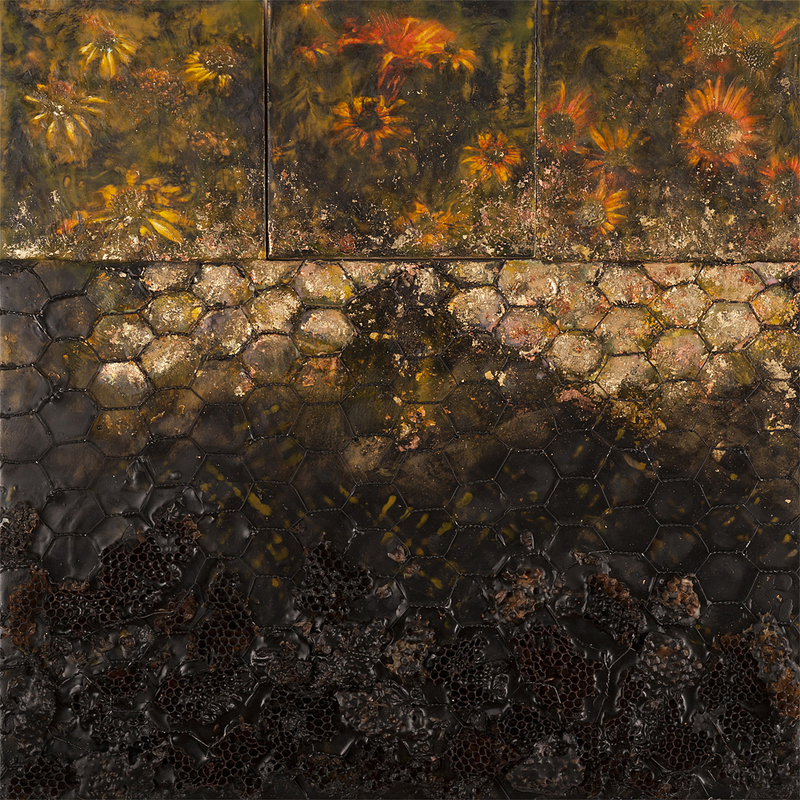 Artist Scout Austin, whose darkly seductive encaustic works were featured in our "Plight of the Pollinators" exhibition, is having a solo show in Framingham , Massachusetts at Fountain Street Fine Art. (Apologies to Scout for not getting this out there before her opening!!) 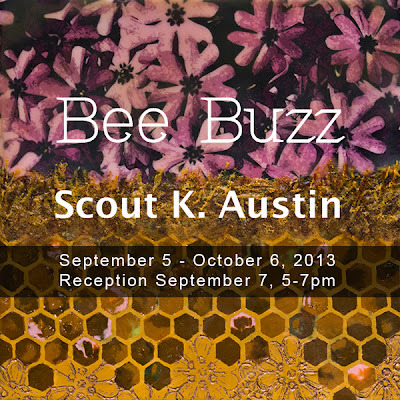 The show will be open until October 6th, 2013. 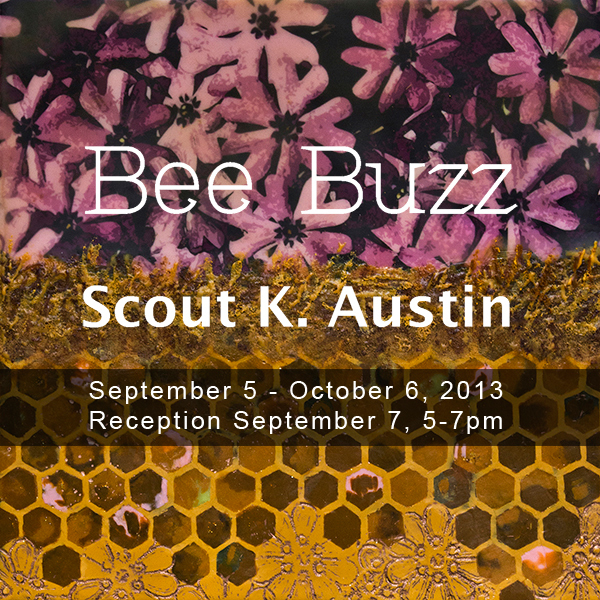 "Austinʼs work focuses the viewerʼs attention on the essential honey bee by highlighting both the beauty of the honey beeʼs life and the serious threats to the honey beeʼs existence. By combining lush, bright color with contradictory, menacing darkness, Austinʼs work encourages the viewer to take a deeper look at a species in crisis." From Fountain Street Fine Arts. 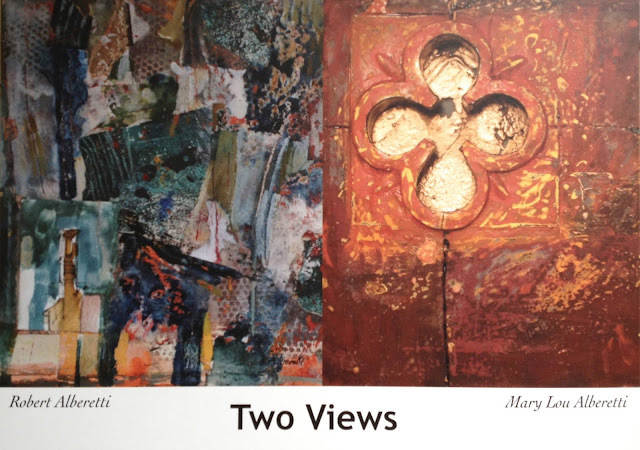 Robert and Mary Lou Alberetti will be showing together at the Minor Memorial Library Gallery in Roxbury, Connecticut. 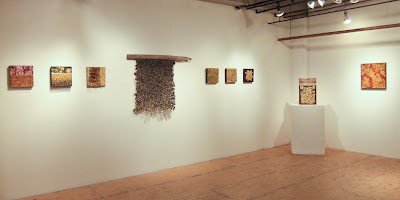 Robert, who also works in the medium of the Bees,will be showing his mixed media works and paintings. Mary Lou Alberetti will be presenting a number of her exquisite ceramics work. The show opens on October 5th ,2013. It will be on until November 9th,2013.The reception is that Saturday from 2PM-4PM. 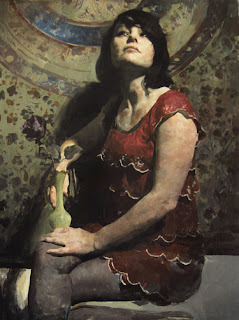 New Workshop With Hollis Dunlap!!!!! !We are very pleased to Announce! !Will be giving a Workshop in Our Studio this November! 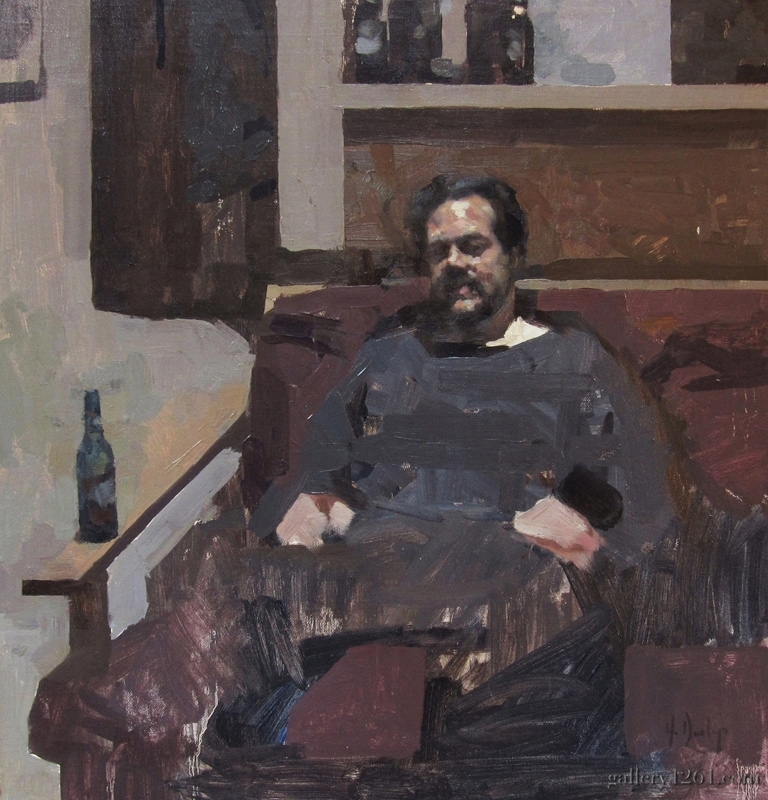 Accomplished Figurative and Landscape painter Hollis Dunlap will be giving a Figure Painting workshop on the weekend of November 9th and 10th. The workshop will be hosted by Blue Horse Arts Studio, located at 250 Porter Street, Watertown CT.
Hollis encourages a perceptual approach to the Figure, ground in classical tradition, that allows the student make more informed color choices and implement practical strategies for modeling form. The price of the Two day Intensive is $350.The class will be held from 9-4 pm each day with a lunch break between 12 and 1pm. For registration information for this class contact Bridget Grady at Blue Horse Arts Studio, email info@bluehorsearts.com or call 860-417-3243. www.bluehorsearts.com.A 50% deposit is required for registration. Early registration is encouraged as class size is limited. 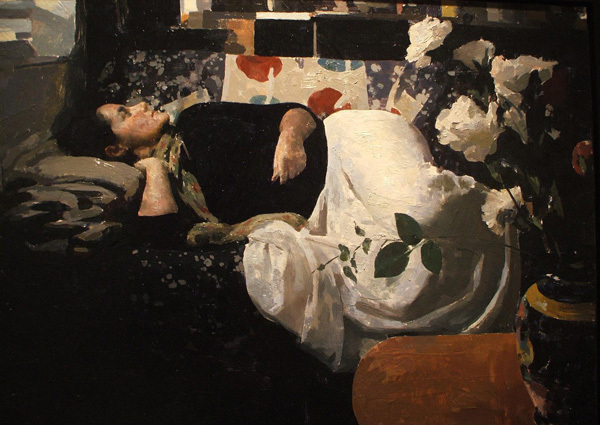 Hollis Dunlap, is an emerging presence in the contemporary art scene.He is a graduate of the Lyme Academy College of Fine Arts and currently member of its faculty. As an undergraduate at the academy he was the awarded First Prize at New York's National Arts Club exhibition two years in a row. 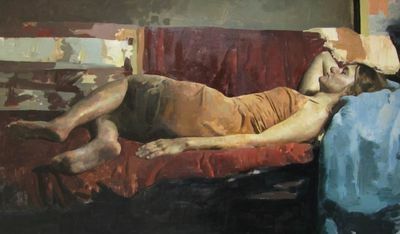 He has been featured art in Fine Art Connoisseur and a number of web publications central to the contemporary figurative movement. 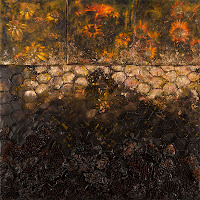 Hollis is represented by galleries in New York, Boston, Colorado, and San Francisco. Please visit his website at www.hollisdunlap.com to view his extraordinary paintings!